MULTI-TALENTED ARTIST EVOLVES HUMAN SPIRIT. Eclectic, feminine, Teresa’s approach inspires others. Model, Voice Over Actor, Songwriter, Screenwriter. As model, voice over actor, she does the full-spectrum. As female vocalist, lyricist, she grooves with trance, dance, chill, pop, soul, rock, jazz, trip hop, new age. As screenwriter, she writes mostly female protagonists in various epochs: drama, comedy, romance, children, thriller, action, documentary, art, fantasy, TV. No: it is not yours to open buds into blossoms. Shake the bud, strike it; it is beyond your power to make it blossom. Your touch soils it, you tear its petals to pieces and strew them in the dust. But no colours appear, and no perfume. Ah! it is not for you to open the bud into a blossom. He who can open the bud does it so simply. He gives it a glance, and the life-sap stirs through its veins. At his breath the flower spreads its wings and flutters in the wind. Colours flush out like heart-longings, the perfume betrays a sweet secret. He who can open the bud does it so simply. 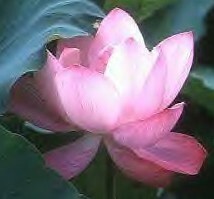 On the day when the lotus bloomed, alas, my mind was straying, and I knew it not. My basket was empty and the flower remained unheeded. Only now and again, a sadness fell upon me, and I started up from my dream and felt a sweet trace of a strange fragrance in the south wind. That vague sweetness made my heart ache with longing and it seemed to me that is was the eager breath of the summer seeking for its completion. I knew not then that it was so near, that it was mine, and that this perfect sweetness had blossomed in the depth of my own heart. In the center of the castle of Brahman, our own body, There is a small shrine in the form of a lotus flower and within can be found a small space. We should find who dwells there and we should want to know her. And if anyone asks, "Who is she who lives in a small shrine in the form of a lotus flower in the center of the castle of Brahman?" We can answer: "The little space within the heart is as great as the universe. The heaven and the earth are there; the sun, the moon, the stars; fire and lightening and winds ... For the whole universe is in Her and She dwells within our hearts." *Mercury is retrograde in Aries: a time of introspection of self. New moon in Aries brings re-birth of self-awareness.